It’s not every day that you get to see a super talented rock star cover a classic, but it’s a rarity every music fan hopes to see. This weekend, that wish came true for the lucky crowd at Morrissey's King’s Theater concert in Brooklyn, NY when he covered Ramones’ “Judy Is A Punk” as part of his encore. Though Morrissey infamously wrote a letter to Melody Maker when he was 17 in which he called the Ramones a “bumptious band of degenerate no-talents,” he has since retracted the letter, and in 2014, the “Suedehead” singer curated a Best of the Ramones playlist. 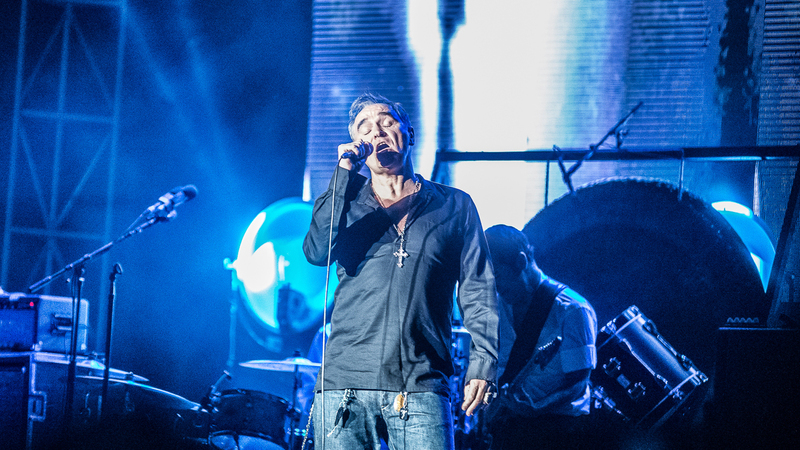 Be sure to track Morrissey on Bandsintown so you don’t miss more awesome performances like this one.